There is a lot to love about this victorian style kitchen by Jessica Helgerson Interior Design, as it is so thoughtfully designed down to every last gorgeous detail. 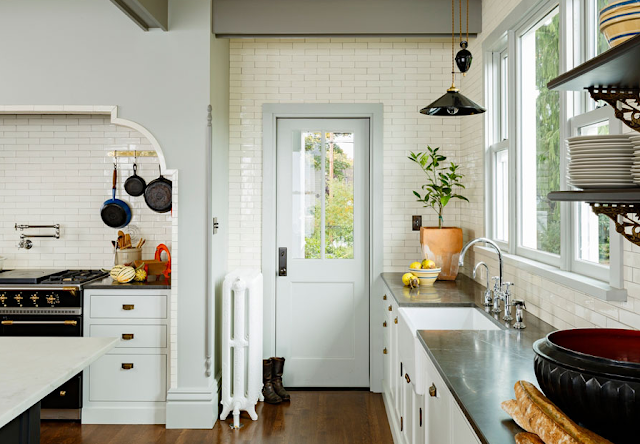 For me, the custom stove alcove puts this kitchen over the top! 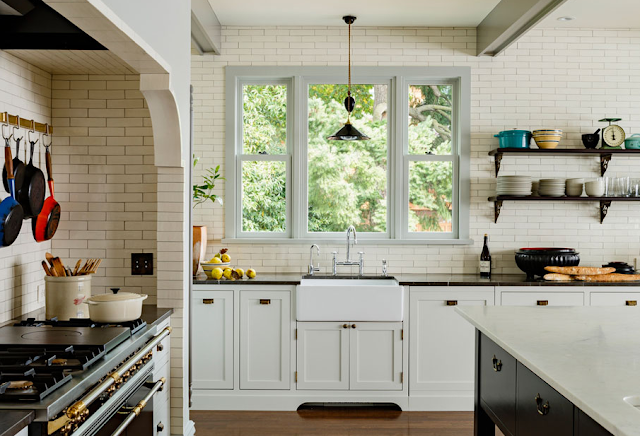 The execution of this showstopping design element is flawless - from the thickness of the tiles (which just happen to be locally handmade) to the contrast of the opal tile with the serene gray walls. 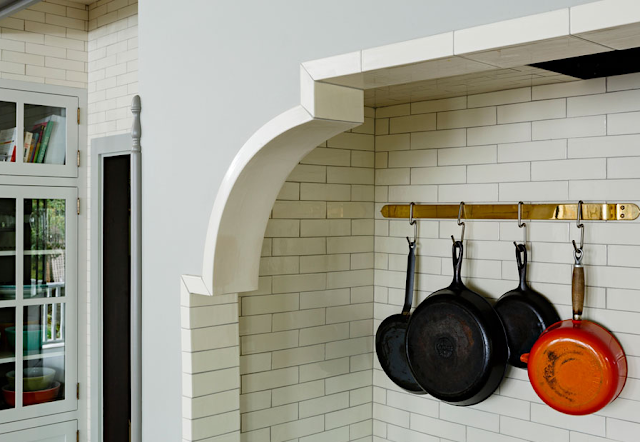 Gotta love subway tile - SO chic! That's such a beautiful pop of detail in a kitchen. I love how it sets everything in like a picture. Of course every home needs interior design to make the house fit. Your post designs looks amazing. Thanks for sharing. You know what would look great? Glass doors for your patio! Proud florist of New Jersey, USA. I recently did a quick post on some of my favorite blogs and your blog is included in the list. I hope that's alright with you! I just wanted to share your blog, because I think it's wonderful! Keep up the great work! Superbe travail ! Le rendu est vraiment magnifique ! Peu importe la langue, la beauté des visuels traversent les frontières ! Good job! Beautiful interior designing! This post is really useful. Btw, thank you for this information.